Unfamiliar words can be a stumbling block for fluency and comprehension. 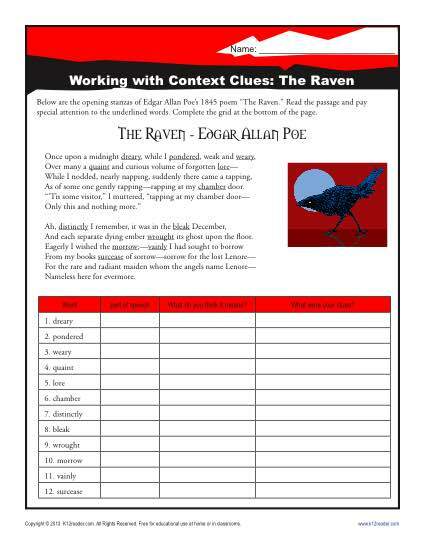 This worksheet uses Poe’s “The Raven” as a practice for deciphering those unfamiliar words. It follows Common Core Standards for Language for grades 6 through 8, although other students may use it as necessary.